2018 Button Drawing – One Prize Remaining! WOW! Congratulations to Mary Johnson of Cottage Grove, MN! She won Amery Script Money this week with a winning button number of 1005! She’s the second winner for the 2018 Button Drawing! Since the last remaining prize has not yet been claimed, one additional button number has been drawn this week! 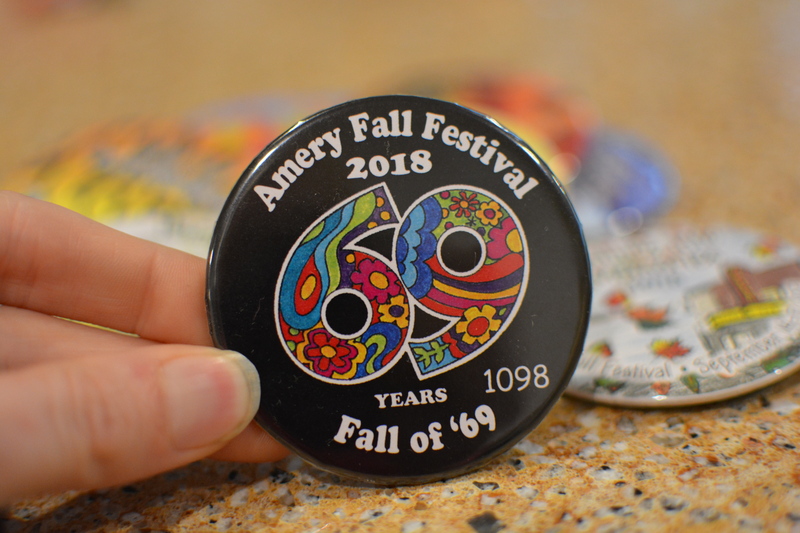 Take a look at your 2018 Amery Fall Festival button, you may be a winner of Amery Script Money! If you have this number on your button, please contact April Ziemer at 651-235-0515 to claim your Amery Script Money prize! Names of the winners will be released in the Amery Free Press. GOOD LUCK EVERYONE!!!! 2018 Button Drawing – New Winning Numbers!